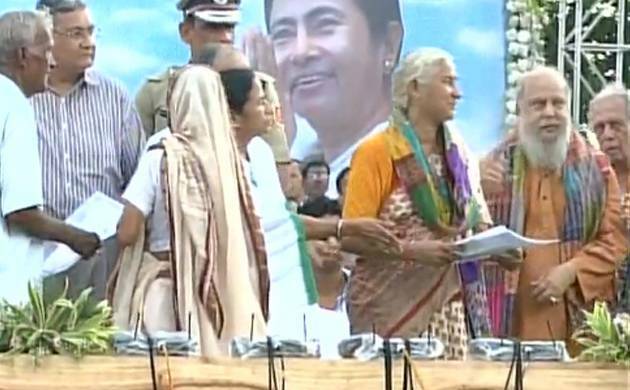 West Bengal chief minister Mamata Banerje handed over 800 compensation cheques to farmers in Singur. Land had been taken against farmer’s will for the Tata Motors’ Nano project. With the formal handing over of the land parchas to the farmers of Singur, Trinamool Congress (TMC) chief Mamata Banerjee has honoured her promise of giving land back to them.